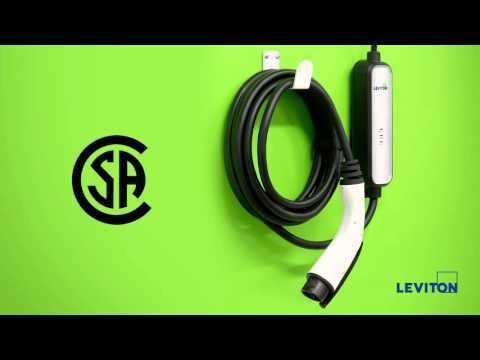 Leviton Evr-Green® 320 Electric Level 2 vehicle charging station with 18-ft cord length, has voltage rating of 208 - 240-Volt AC, current rating of 32-Amps and power rating of 77-Kilo-Watts. It measures 10.38-Inch x 5-Inch x 19.21-Inch. Charging station features durable powder coated water-tight and dust tight steel enclosure to withstand the harshest of environments. Auto-reclosure feature enables charging to restart following a minor fault, thereby reducing the chance of having an undercharged battery. 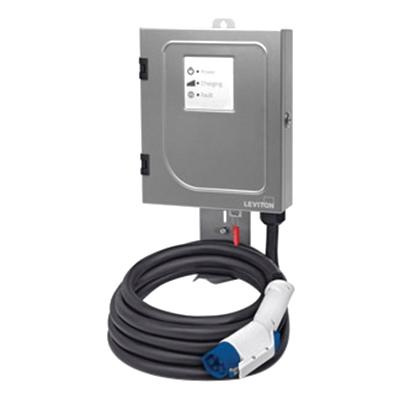 It is compatible with Evr-Green EVSE pedestal system. Charging station is UL listed.